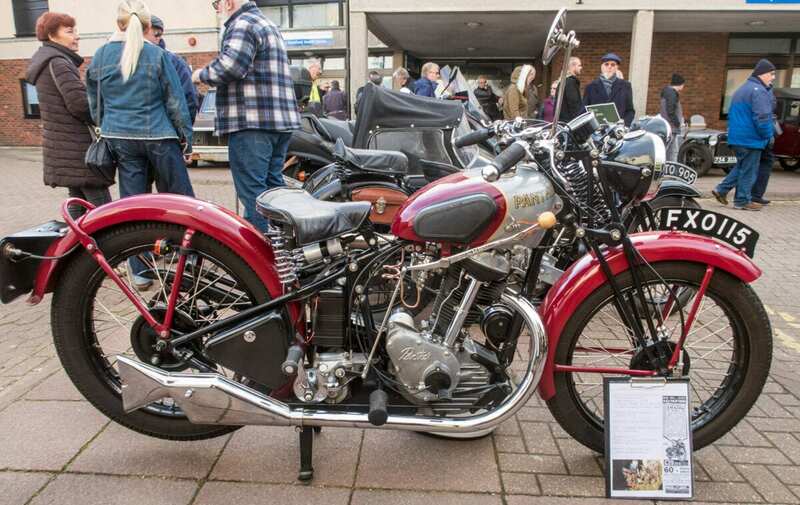 Let’s start with this 1939 ohv 250cc Red Panther which was restored by AlanB over a four year period, after he’d spent seven years beforehand looking for the correct petrol tank. That’s what I call dedication and, as you can see, he has put a great deal of effort into producing a splendid machine. Sold exclusively by Pride & Clarke in London, the three-speed hand-change machine retailed at £29.17.6 and the sloper engine was good for at least 100mpg. My machine of the show was probably this very original 1939 Triumph 5T Speed Twin. 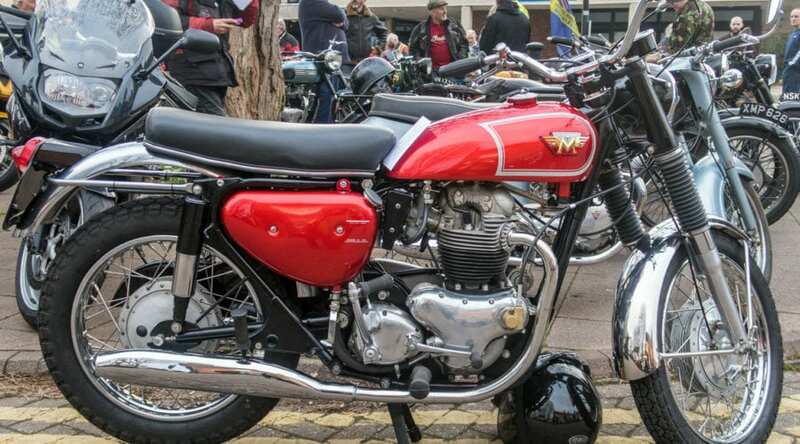 It must have been one of the very early incarnations of Mr Turner’s most excellent vertical twins and had an honesty about it that drew the attention of this Hinckley Triumph rider. I really like these Royal Enfield KX V-twins. 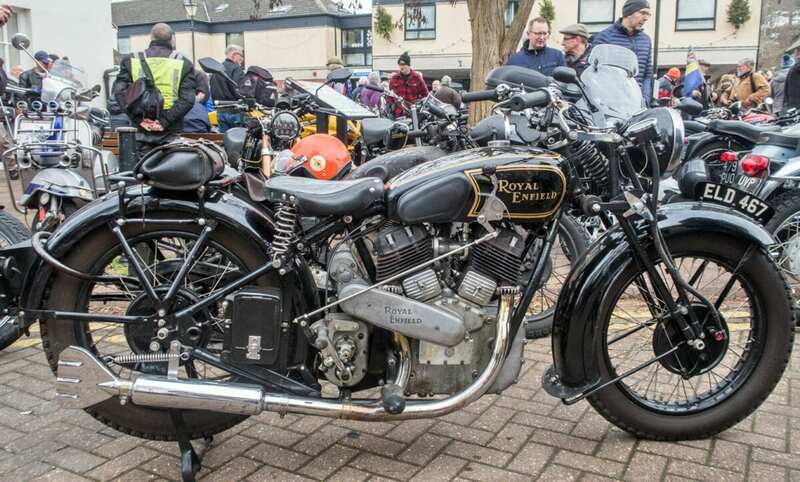 Their 1140cc sidevalve engines provide enough power to tug along a commercial sidecar and, at £77.10, the Enfields were almost £100 cheaper than a Brough Superior. The enlarged engine, 88.5mm by 99.25mm, benefitted from a bottom-end redesign to incorporate dry sump lubrication, with separate conrods supported by their own pairs of roller bearings inside the massive aluminium crankcase, and no fewer than four oscillating-plunger oil pumps. To keep all that oil under control the valve gear was enclosed, and the cylinders topped with detachable iron heads. 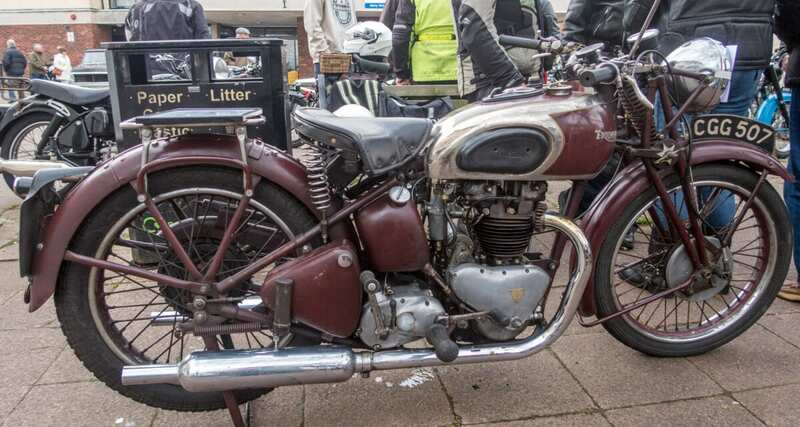 This one dates from 1937 and, given the KX’s potential value, I am unlikely to ever own one! 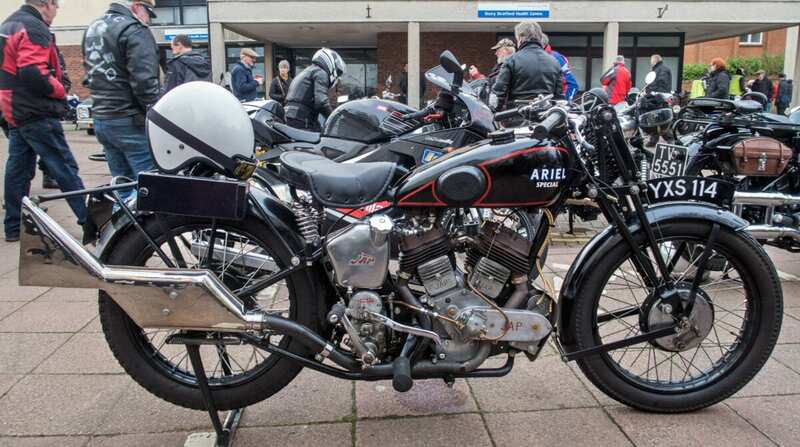 Talking of V-twins, have a look at this Ariel Special. 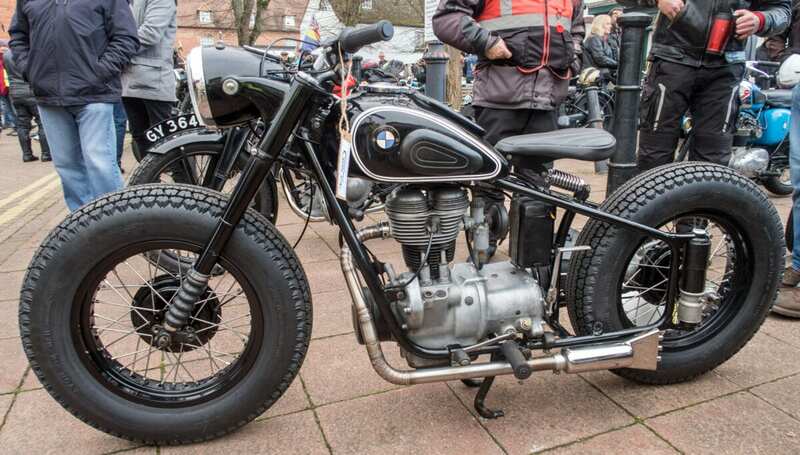 It’s fitted with a 749cc JAP engine, possibly a Norton ‘doll’s head’ gearbox, and a silencer that looks more like a whale’s fluke than a fishtail. Parts of the machine date from 1933; an extremely impressive special that looks like it could have come out of the factory at Bournbrook. The card accompanying this interesting little gem read ‘Project – Old Racing Harley – Very Tired’. 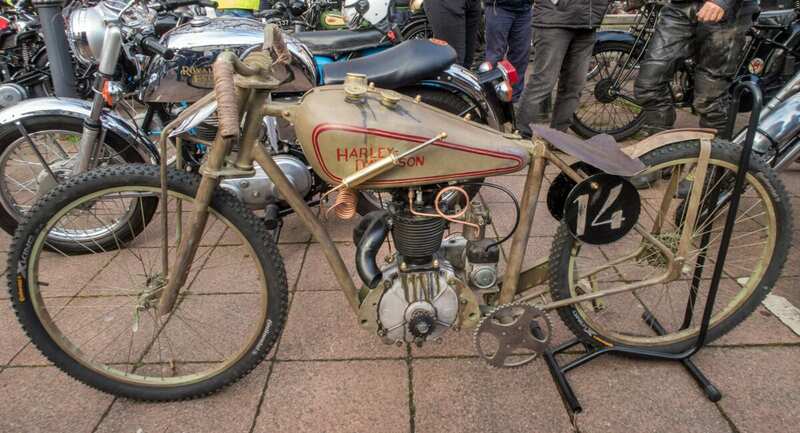 It’s not clear whether the final comment related to the 1929 ohv 350cc Harley-Davidson… or its owner! 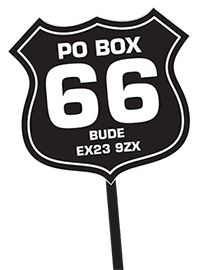 The ‘Peashooter’, named for its for its distinctive popping exhaust note, was a full-on factory racer introduced by HD in 1926 to compete in the AMA’s 21 cubic-inch class. Harley factory tuners could get 100mph out of them on board and dirt track circuits. This must have been, in part, down to the machine’s light weight of 215lb – no brakes, no clutch, no transmission and no silencing can only help in this regard. Looking forward to seeing the restored motorcycle. 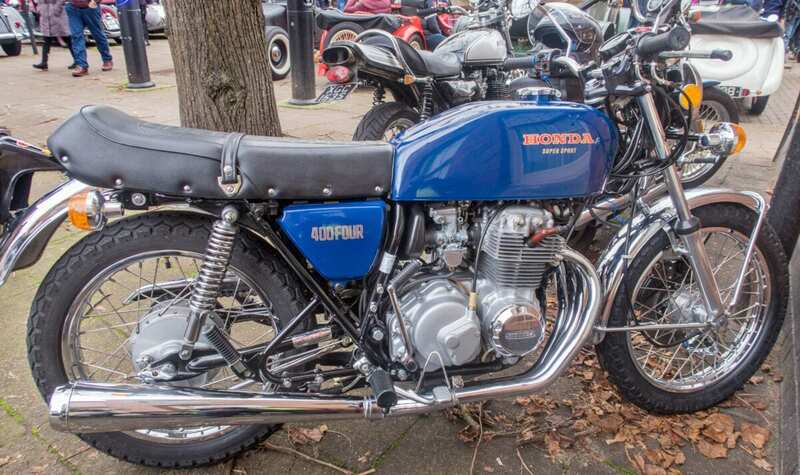 I was smitten by a blue Honda 400/4 back in the mid-1970s and remain smitten to this day. I hope you can appreciate the reason for the smiting from this photo of a 1976 example, which is in immaculate condition with only some slight deterioration of the paintwork where the seat meets the petrol tank – I got to look under the seat at the pristine toolkit and original spark plugs. 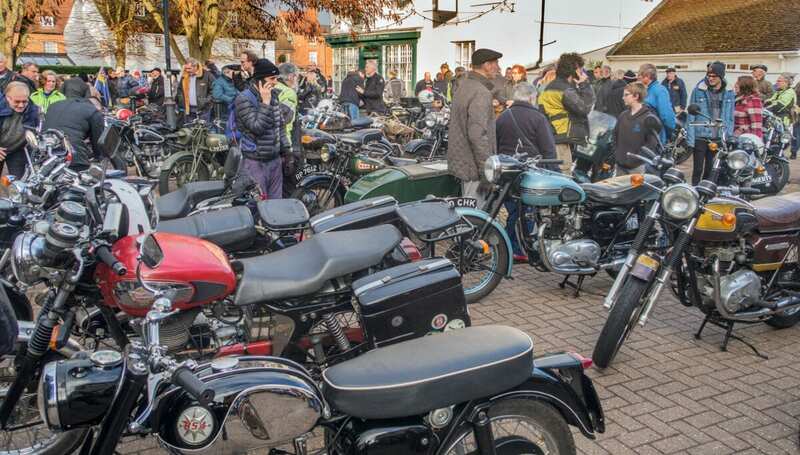 The owner is quite rightly extremely proud of his four cylinder, 408cc marvel – so much so that he was up at 2am polishing the chrome in time for the show. He kindly allowed me to sit on my dream machine – it’s a lot smaller than I thought but still beautiful. I know little about the creations of Messrs Francis and Barnett but when I was called over to look at this 1966 Sports Cruiser I couldn’t help but be impressed (but then I am a sucker for red motorcycles). The company, owned by AMC by the time this example left the factory, had returned to using the Villiers 249cc 2T engine after the AMC-designed power plant had not proved overly successful. When tested by Motor Cycling magazine, the Cruiser Twin achieved a flat-on-the-tank best speed of 71.9mph and returned 72mpg, so it was no slouch by the standards of the day. No doubt this Italianesque lightweight makes a pleasant classic riding machine today. 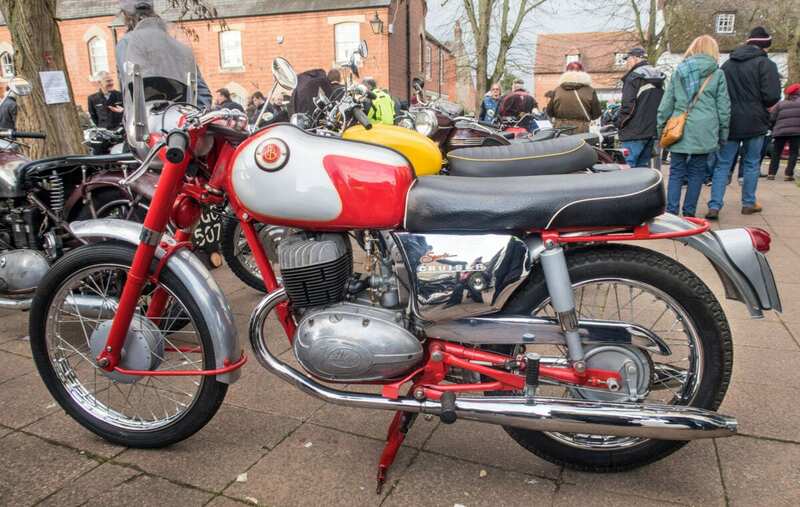 Let’s finish with this 1967 Matchless G15CS 750 for no other reason than it is handsome and red. 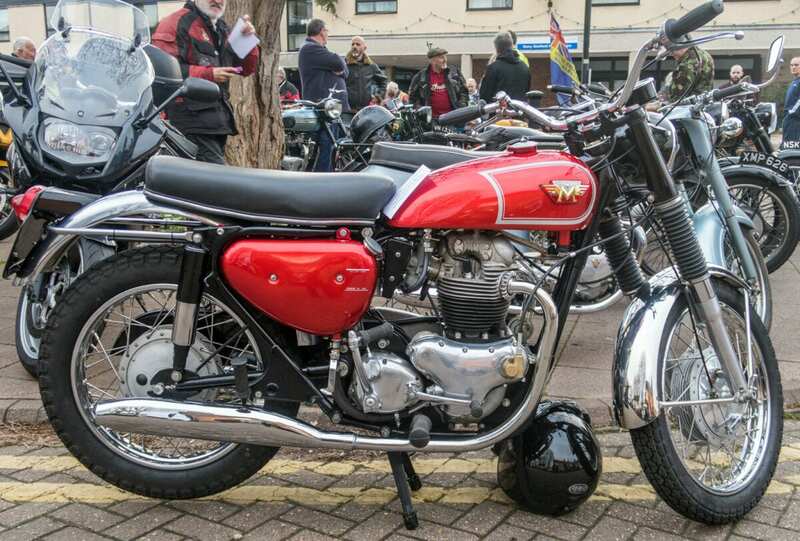 Don’t forget Classic Stony on Sunday 2nd June 2019. Previous Post:50-50 Triple Challenge: Winners On The Way!